This is a post from Revd. Dr. Tim Perry, Rector of the Church of the Epiphany (Anglican) in Sudbury, ON, and teacher in the Joint Faculty of Religious Studies at Laurentian University, also in Sudbury. Dr. Perry reflects on Lewis’ unique ability to speak to all types of people. I spent a good deal of my early adulthood avoiding C.S. Lewis. After my childhood enthrallment with Narnia, I largely left the Oxbridge don behind. The reason was simple: everyone else was suggesting I should read him. So, I didn’t. There was more to it than that, of course, but not much. I tried dipping into Mere Christianity, The Screwtape Letters, the Space Trilogy, and other works, but none could hold me like the adventures of the Pevensie children in the wonderful land between the lamp post and Aslan’s country. So, why am I here writing an appreciation? The answer is simple. My appreciation has grown out of Lewis’s ability to speak to people who don’t care a whit about Christian faith; his ability to prod the un-churched to reconsider the claims that the “spiritual” or “religious” worldview might not be such obvious claptrap after all. While Lewis is considered passe by many in my church, he seems to be enjoyed by students in my religious studies classes at the local university. So for example, The Problem of Pain occupies a major spot in my syllabus for a course on Sin and Evil and if students come, as they often do, to think the issues are there too tidily described, I send them to A Grief Observed. Similarly, The Four Loves starts the second semester of a year-long course on the nature of human love. That book’s devastatingly simple thesis—that human love, although multivalent, is transformed and becomes more fully itself through an encounter with the Love that is God—often offers students an opportunity to reflect on the transcendent in a way that unites intellectual, volitional and emotional elements for the first time. 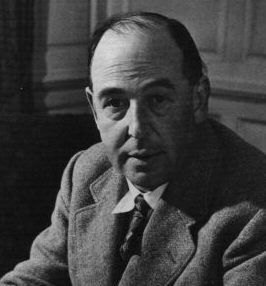 Lewis, perhaps because he was an adult convert from the naturalistic worldview many of my students have simply inherited and never had the opportunity to query, seems uniquely able to make them pause and reconsider whether religious faith in general and Christian faith in particular deserves a first hearing and then, perhaps, a second. C.S. Lewis’s turn has come round again, and we are better for it. Grab the C.S. Lewis Collection for 30% off while you still can. This rare sale ends at midnight on Sept. 24. Start 2015 Off with a Bang!